This morning we had a great breakfast at the Dupont Circle Hotel. I had the banana rum French toast. Yeah, I’ll say that again… banana rum French toast. YUM! We took the metro down to the Smithsonian area and went straight for the National Air & Space Museum. This is an amazing building and a monument to American innovation. We saw the Spirit of St. Louis, and starfighter jets. They have the Wright Brothers flier and their original letter to the Smithsonian asking for access to research documents from the archives. Although there are hundreds of aeronautical triumphs in the Air and Space Museum, Derick was most impressed by the filming model of the USS Enterprise from the original Star Trek series. We walked toward the capital building and made a stop at the National Botanical Gardens. So pretty and smells amazing. I had no idea there are so many colors of orchid. We walked along the south side of the capital to the most beautiful building, the Library of Congress. 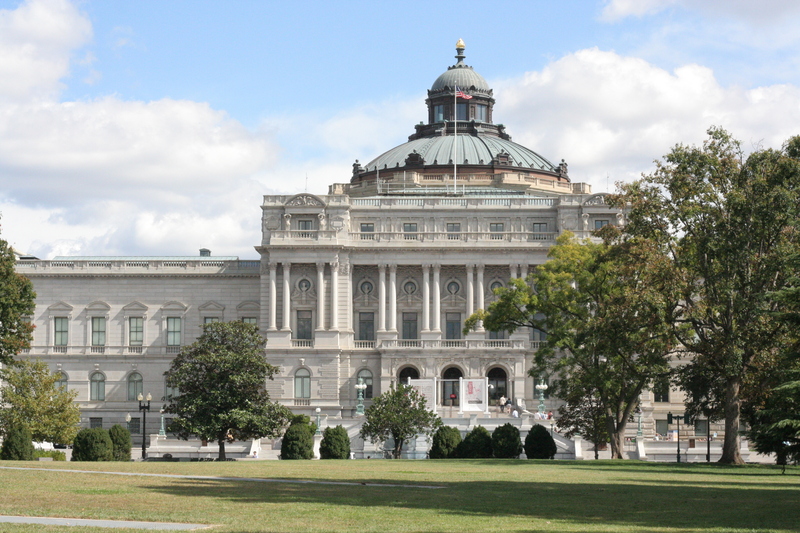 Library of Congress is the research library of the United States Congress, the de facto national library of the United States, and the oldest federal cultural institution in the United States. Its elaborately decorated interior and works of art are from nearly fifty American painters and sculptors. We wanted to go find my copywrited book but we did not have a readers card (note for next time). We did get to see the Gutenberg Bible in the main rotunda. Although we could not get into the main reading room, this building is truly remarkable. After that we found a nice pub for lunch and then we made our way to the Sewall-Belmont House. The historic National Woman’s Party (NWP), a leader in the campaign for equal rights and women’s suffrage, owns and maintains the Sewall-Belmont House and Museum. This museum is committed to the legacy of Alice Paul, founder of the NWP and author of the Equal Rights Amendment. This was a great reminder of the importance of acknowledging our history and participating in our democracy, especially during this contentious election season. Back to the hotel to rest and clean up for dinner. Tonight we dined at the Old Ebbitt Grill, Washington’s oldest, most historic saloon. We had 7:00 reservations and it’s a good thing too. The joint was jumpin’. The old wood, private nooks and taxidermy gave it a supper club feel. In the political beltway, I could imagine that many deals have been done in these leather booths. For a political junkie like myself, it has a mysterious and romantic feel to it. Derick had a steak and I had a lobster and we shared creme brulee for dessert. Excellent food and service.